There are circumstances when we need to reset iPad and need to use it from the scratch. If you are one of those who are stuck in the same situation and have no clue how to do it, you have landed to the accurate place. In this article, we will let you learn how to reset iPad in easy ways. So, without any further delay, let us begin the methods one by one and get to know how you can perform this in your iPad. What is Reset iPad and What Problems can Reset Solve? Have you ever been crazyed about the stucked or unresponsive iPad? And do you know the meaning that somebody tell you to reset your iPad? Ok, lwt me tell you. When we say "Reset iPad" , it have multiple meanings indeed. It can refer to soft reset , hard reset or factory reset. I think you must have been confused by these terms. So, keep reading to learn what are the differences among them. Soft Reset. This term sound like have no damage to iPad, yes, it indeed. Soft reset means normal reboot iPad, it won't cuase any data loss to iPad. Hard Reset. It also been called as force restart. That means you can try this to forcely back your device to normal if soft reset not work. Fcotory Reset. Factory Reset refers to reset your device to the original settings just like a new one. As the name shows, it will erase all the data and settings on your device,. I should remind you to backup your data on your device. In order to soft reset iPad you need to follow the below mentioned steps carefully. This would not make any changes to the data stored on your iPad. Here's what you need to do. 1. Press and hold the Top (or Side) button until the slider appears. 3. After your device turns off, press and hold the Top (or Side) button again until you see the Apple logo. Moving on the performing a Hard Reset on iPad is quite different from performing soft reset. We know that soft reset is restart iPad actually, but hard reset can solve some minor issues indeed. Let us to have look how to operate. 1. Hold down the 'Home' button along with the 'Power' button for nearly 10 seconds. 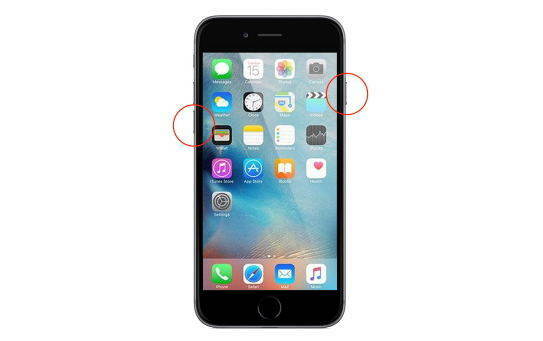 2.Then you are required to release the buttons the moment you catch the sight of the Apple logo on your screen. This was how to factory reset iPad using hard reset method. Let's now hop on to the next method to factory reset your iDevice suing the iTunes application. Here in this section, we are going to make you familiar about the step by step process on how to factory reset iPad. Ensure that you have all your data backed up already as performing iPad restore will erase everything on your iPad. Here's the detailed procedure. Open iTunes and then connect your iPad with the computer via a lightening cable. Now, click on the device icon you found on the top left of the screen. Hit on 'Summary' tab now from the left panel and later, click on 'Restore iPad'. Lastly, hit on 'Restore'. Go to 'Settings' and tap on 'Genera' option. Now, enter the password if asked and confirm the actions. If you want to reset iPad without taking help of iTunes, Tenorshare 4uKey can fulfill this purpose of yours then. There is full support to all sorts of iOS devices when you use this software. Within just 3 steps, you will be able to attain the task of resetting iPad and erase everything from your device. Also, you can use this program no matter you use Mac or Windows computer. Let us now grasp how to reset iPad using this Tenorshare 4uKey. Let's end the discussion here. We have shared different ways to restore your iPad into factory settings and remove the data from it. If you want the secured way, we would recommend you Tenorshare 4uKey which gives high quality results and known for its reliability. We hope now you have completely learnt how to reset iPad using different ways and have started doing it too. If you like reading this post, please let us know in the comments section below. Thanks!